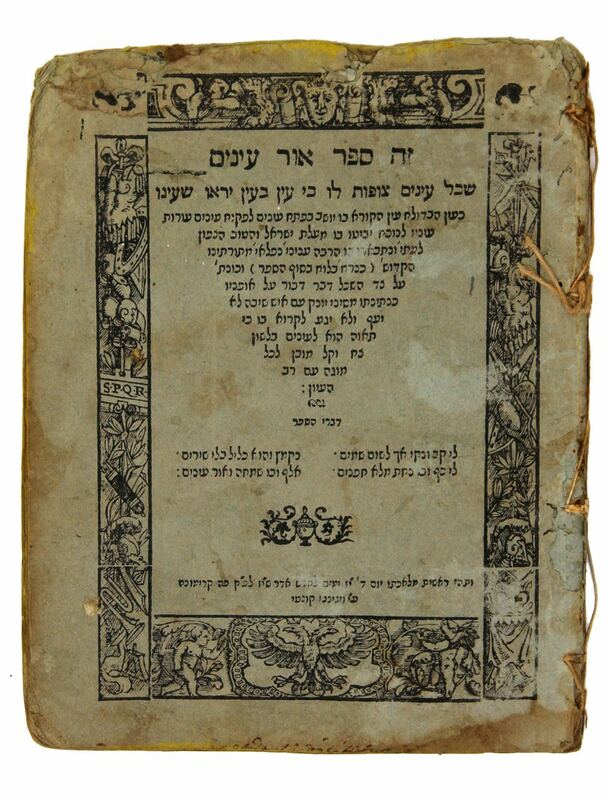 Bidspirit auction | Or Einayim—Crimona, 1557. Blue pages. The first book is on astrology, astronomy, and mysticism, including the Redemption and Messiah. By Rabbi Shlomo ben Avraham Paniel. Printed by Vicenze Conti. Light blue pages. Page 1(9) has a handwritten gloss in Mizrahi handwriting. | Bound with Peulat Issachar, from the book Ibur Shanim, by Rabbi Issachar Even-Shushan (printed by Juan di Gara, Venice 1578). Calculations of the calendar, with tables. Page 136(1) has a note in Italian. | Stains. Light moth damage. Not bound. | 32; 109-136 pages. 18cm. Generally ok condition.